Sydney residents, and visitors like me, were treated to a change in atmosphere colour on Tuesday September 22, as a dust storm swept in from Australia’s inland. Dust particles transformed dawn skies into shades of red, orange and yellow, turning the sun blue. Wednesday’s newspapers, not surprisingly, were full of both photographs and print advertisements capitalizing on the public need to reflect on the previous day’s events. Visa’s “Go” campaign, for example, was translated into the way residents would be paying for their car wash.
Subaru presented the new Subaru Outback with Symmetrical All Wheel Drive as the vehicle for all conditions, the snow, the coast, or even a Sydney dust storm. Telstra provided a reference to the “Time to call your Mum” campaign with the question, “How do you get red dust out of white pants?”. Photography by Nick May. BankWest picked up the Orange angle in their print advertisement. NapiSan ran its campaign with the headline, “Great for stains. And dust storms”. Viva cleaning fluids are presented as the way to “get to dust”. 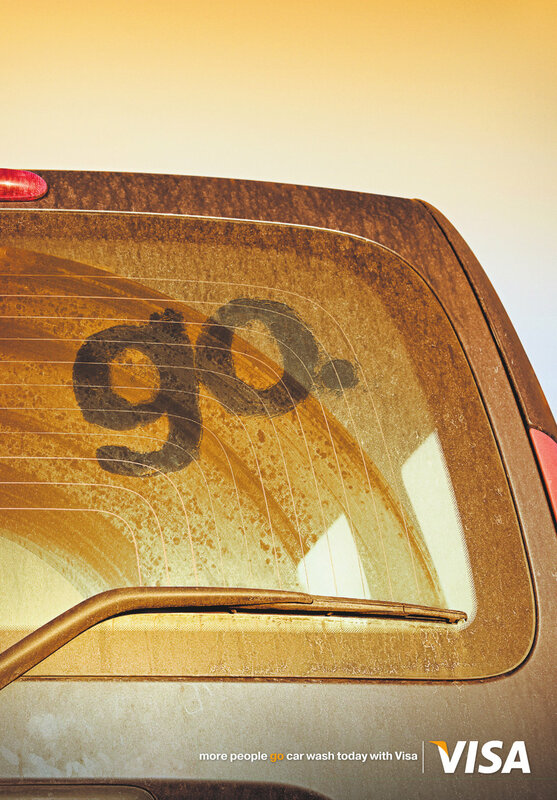 Windex window cleaning products are presented as the way to work on the windows now the dust has settled. 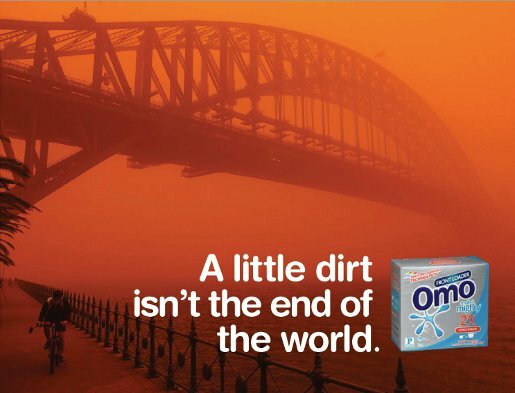 Unilever worked with Lowe Sydney creative director Simon Cox, copywriter Matt Cramp and art director Sesh Moodley to associate Omo with the inevitable comparison of the storm with the end of the world. 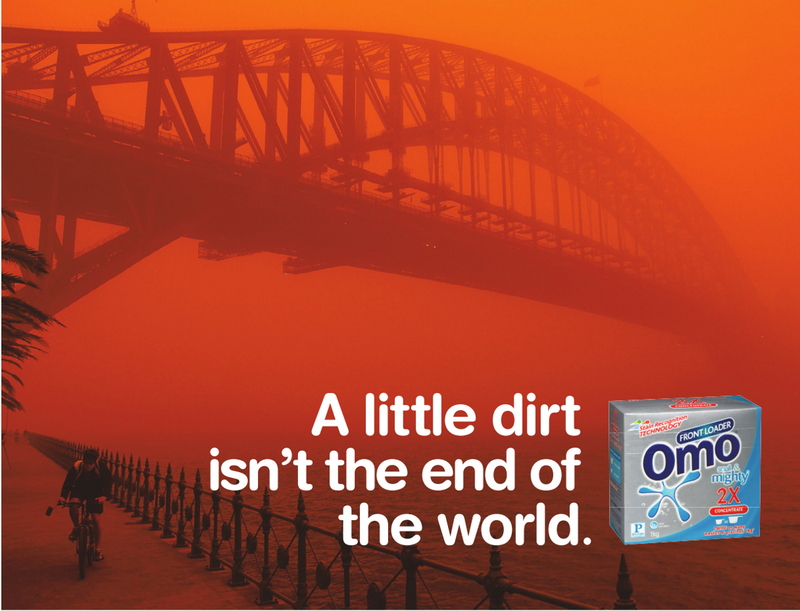 “A little dirt isn’t the end of the world”, the copy reads, with a photograph of the Sydney Harbour Bridge covered in red fog. 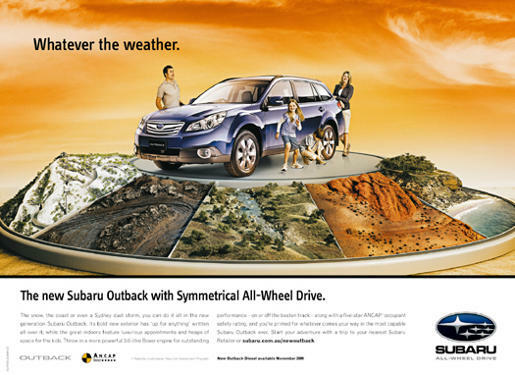 Zyrtec sponsored a Flash advertisement on the Sydney Morning Herald and News.com.au weater sites, congratulating photographers for the way they had captured the red dawn, linking to Dust Storm on Flickr and remind readers about the product’s response to hayfever and allergies. See also the Wayside Chapel response on behalf of the homeless of Sydney.